The Redhawk Startup accelerator runs each spring semester at Union Hall in Cincinnati. Miami student teams wishing to launch businesses are eligible to participate. Each week, entrepreneurs from the #StartupCincy ecosystem provide coaching and mentorship, culminating in a demo day pitch to local startup accelerators and investors at the end of the semester. 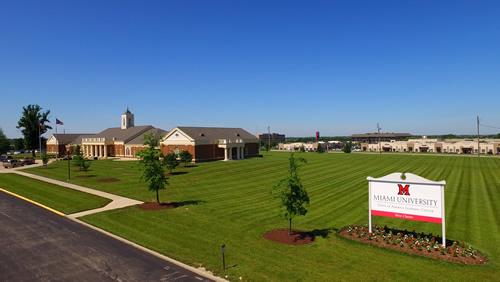 2019 represents the fourth cohort for the Redhawk Accelerator. The prior three cohorts have placed at least one business in local startup accelerators, including The Brandery, UpTech and Ocean. AddMe is a mobile solutions company designed to bridge the gap between face to face interaction and future communication over digital channels. Currently expanding our underlying technology into event and attendee tracking. Our solutions allow people to focus on what they want to do while spending less time checking in or exchanging contact information with others. AddMe was launched in Sept 2017 and currently has around 10,000 users. High-end consumers lack swimwear options that meet their functional desires and design aesthetic, causing suits to lay dormant for most of the year. Akinda Mayanna taps into a niche market of women that traditionally have to sort through swimwear that is catered to a younger demographic. Akinda Mayanna creates high-end, one-piece swimwear that doubles as a bodysuit using high-end textiles, beading, and detailed fit to extend the wearability to everyday luxury wear. With thoughtfully paired cover-ups and sophisticated suits created in textured fabrics with durable styles, these looks can be taken from the beach to brunch. College students want to be able to embrace the social scene on campus but often find themselves wasting time nursing hangovers. Our hangover prevention beverage allows students to go out while staying productive the next day, giving them the opportunity to excel in their academics or extracurricular. Our blend of vitamins, minerals, electrolytes, and antioxidants is currently the most comprehensive formula on the market and has proven to provide students with more control over their weekends. We want to make it easier for aspiring athletes to earn attention for their physical abilities off the playing field by providing them a platform to showcase lifts and other aspects of their fitness lifestyle. We are targeting athletes of all ages, trainers, scouts, sports teams, and fitness enthusiasts. 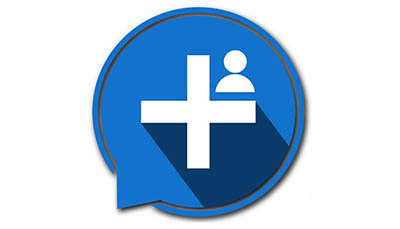 FLEXPIT helps athletes get noticed through a social media platform available on iOS, Android, and the web where users have the ability to showcase their workouts and earn a position on the verified FLEXPIT leaderboards. What distinguishes FLEXPIT is our patented technology that allows certified personal trainers to view exercises submitted by users, verify that the exercise was completed with proper form, and then submit that exercise to FLEXPIT’s filterable leaderboards. Women of color have trouble finding affordable makeup products that match their skin shade, undertones, and types. Our target market is 16-26 year old women of color. Our solution is an affordable foundation made to match the varying undertones of women of color made for everyday use, it is a buildable coverage and low in price. We are unique because our price is affordable for the everyday young woman, a young college student, a young professional, neither have a disposable income. Also, a percentage of every product sold will go to organizations and foundations doing work to uplift the black community. 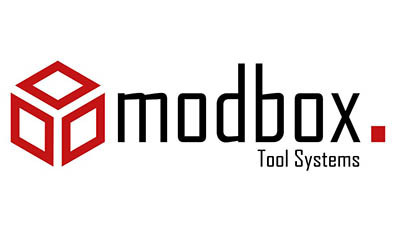 ModBox Tool Systems is addressing the burden of cost that is created by high interest loan payments for professional-grade tool storage. We are targeting future mechanics still in trade school with a modular and customizable storage solution delivered through a unique profile based configurator. Our unique value is providing tool storage that grows with a mechanics career. Zandaland is a holistic digital platform and virtual world for Children’s Hospitals that educates, connects, and distracts inpatient pediatric cancer patients. Fun, play and learning all come together to empower young patients to be engaged in their own healing and coping process.